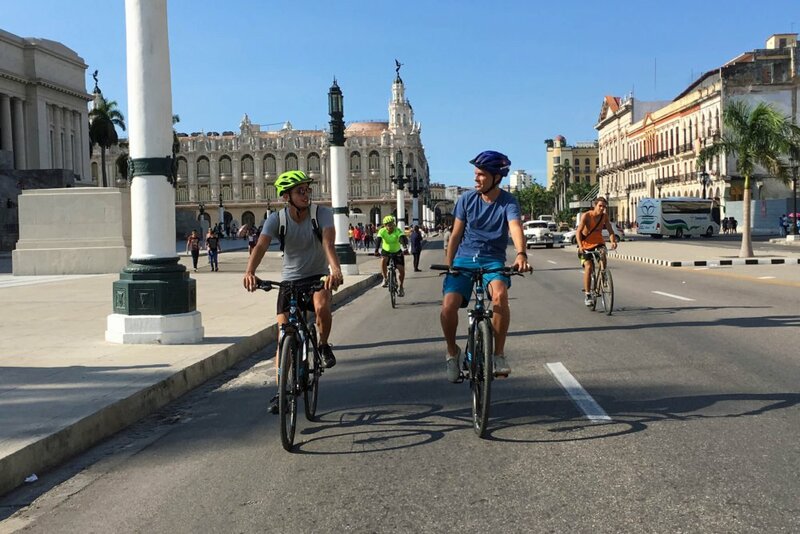 Organised bike tours in Cuba’s vibrant & colourful capital city. 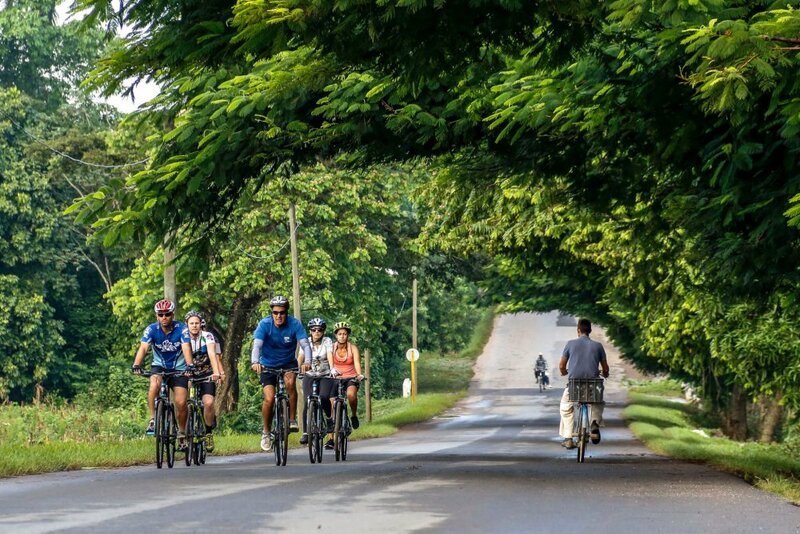 Join Cuba’s leading cycling specialists on an exciting and insightful two-wheel exploration of Havana. Weekly tours on Wednesdays and private ones can be arranged. Water – bring your own water bottle to put in the holders fitted to each bike. Tips for guide. 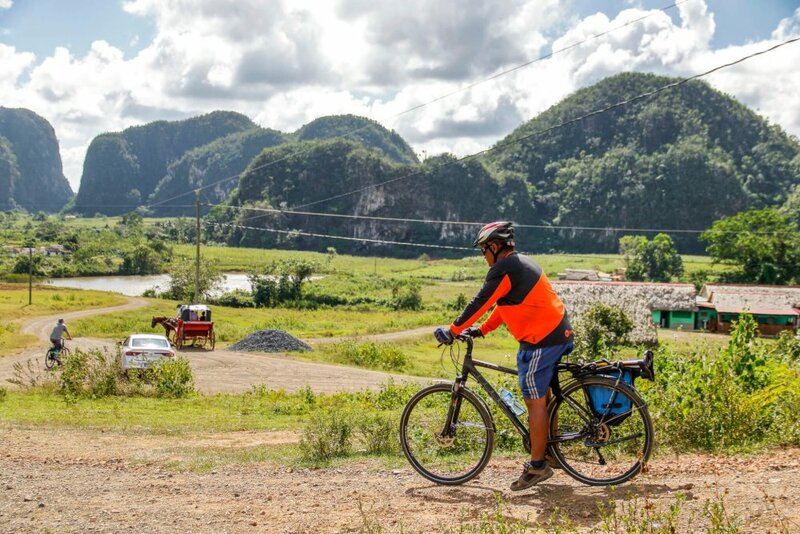 We recommend that each participant contributes CUC 5 if you are pleased with the tour. On paved roads, with some pot-holes. Hot and humid conditions, especially during summer months. Moderate Pace: approx. 15-20 kmph . 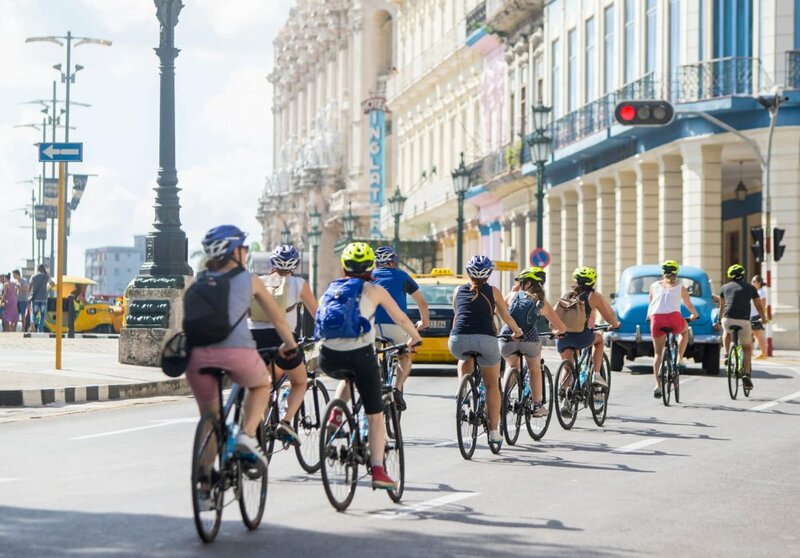 We start the day with a bike fitting outside of the Montehabana Hotel in Playa district (Calle 70 & 5a, Miramar, Playa) – here we’ll make sure your bike is the correct size, supply you with a helmet, introduce the rest of the group, and we’ll have a cycle safety briefing with the tour guide. 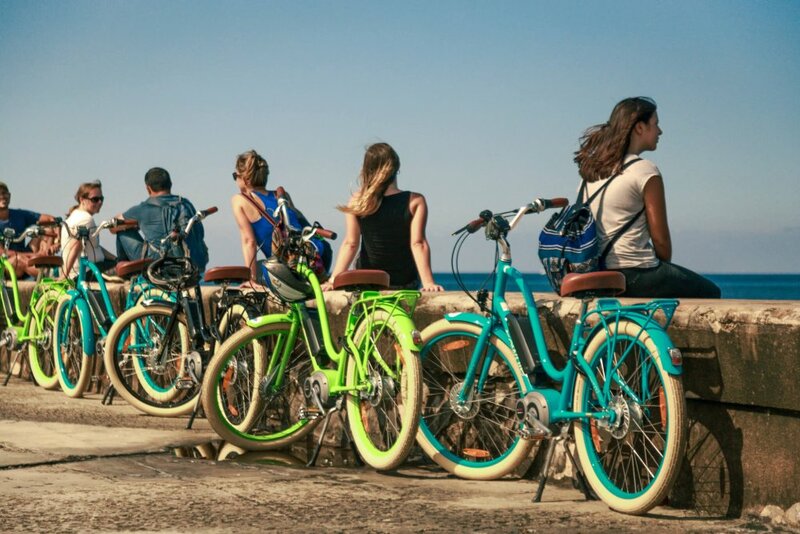 The first section of the ride involves following the coastal road down past the Karl Marx theatre and to ‘La Puntilla’ where the Almendares River meets the sea. 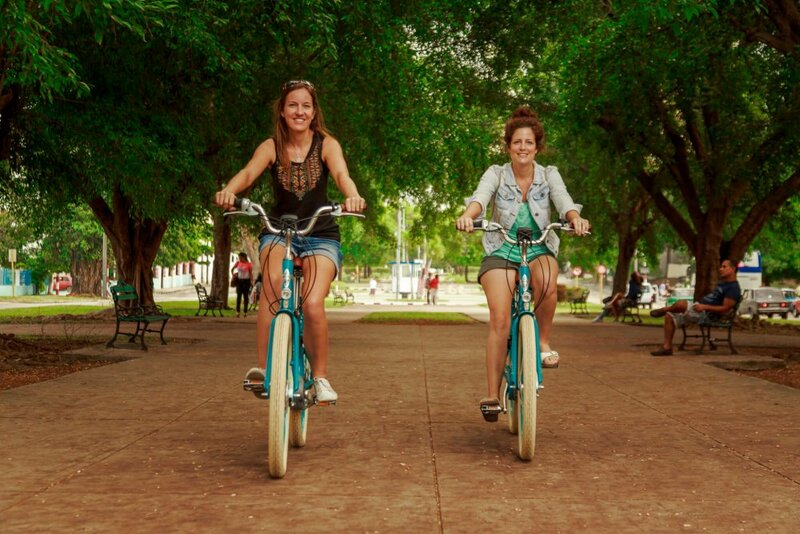 We meander up towards ‘El Bosque de Habana’ the green and mysterious woods whose beauty takes many visitors to Havana by surprise. After stopping for a breather and to take pictures of the peculiar trees, we set off again and now find ourselves in Vedado district, home to some beautiful residential architecture and Cemetery to arrive at the iconic Revolution Square, a must-see destination for anyone interested in politics or Cuba’s revolutionary past. 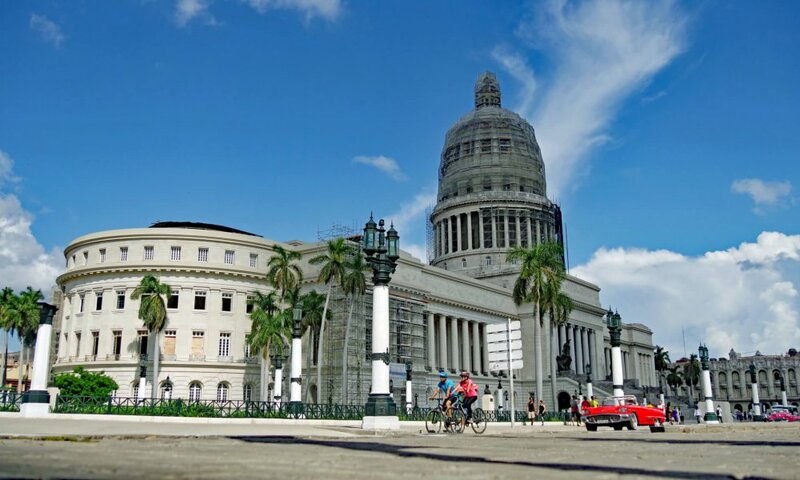 Continuing through Vedado we arrive outside the emblematic Hotel Nacional, the flagship hotel for visiting dignitaries and iconic silhouette on the city’s skyline. 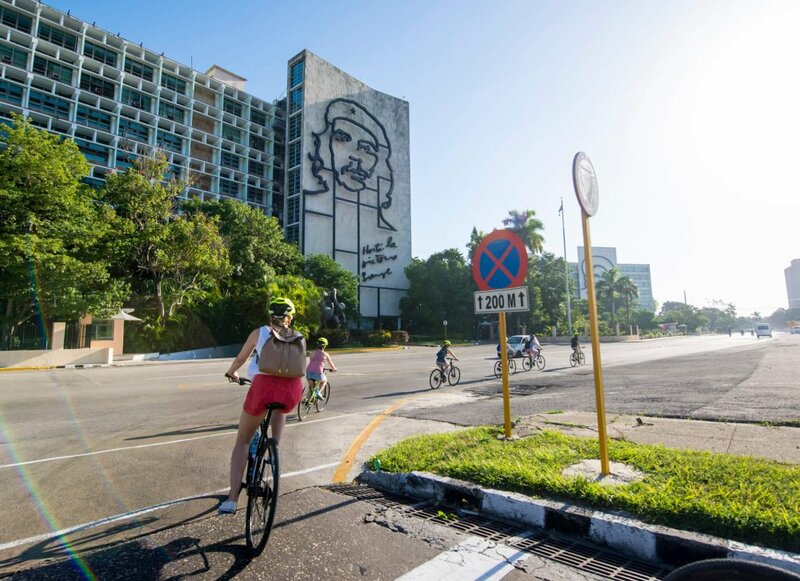 We continue in the Centro Habana district and the scenery changes with the roads narrowing and the bustling street-life becoming more evident. 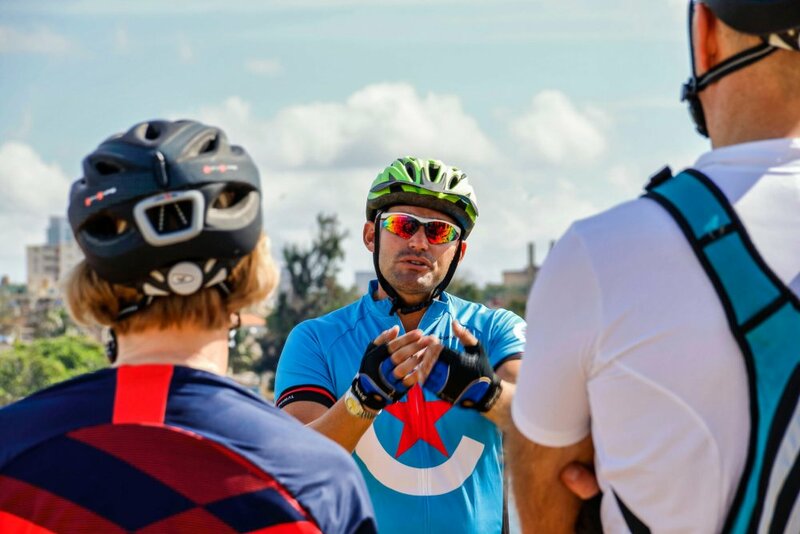 We stop for a fruit juice in a typical Cuban barrio before cycling the final leg of the ride along ‘Paseo de Prado’ and ending next to the Bay of Havana. Here we’ll leave the bike beyond to explore part of the Old Town on foot. 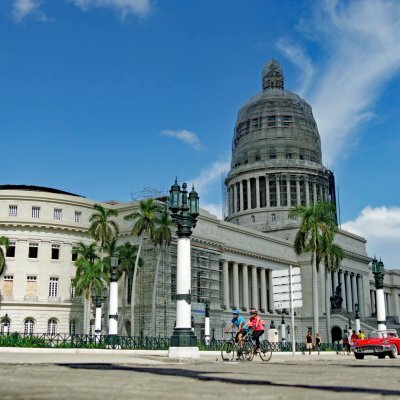 Our guide will give a historical overview of the main plazas lasting approx. 1 hour. The tour ends in Plaza de la Catedral. You are reasonably fit and enjoy being active. On paved roads, with some pot-holes. Hot and humid conditions, especially during summer months.